The Mayfair Coffee Table by Daytona is sculpted by skilled artisans in the heart of Italy. Crafted from the finest materials, the design features a curved structure with a dark walnut veneer and Emperador marble top. Two soft-closing hinges reveal hidden storage for magazines and books. Complemented by a burnished brass base with a gloss effect lacquer, the Mayfair Coffee Table will bring a touch of glamour to any living room setting. 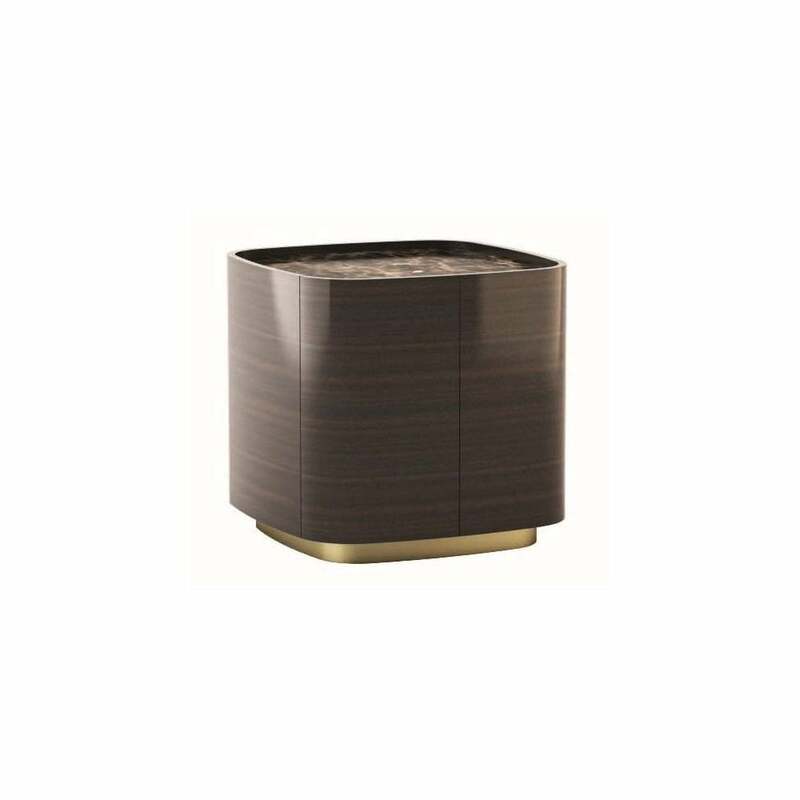 Combine with the Barrique night lamp to recreate an art deco luxe look. The coffee table is available in a range of bespoke finishes. Choose from a variety of table top and base options including marble, leather and wood. The base is also available in titanium. Make an enquiry for more information.